Tempo runs are a weekly staple in every competitive runner’s training schedule. But it can be a challenge to get the intensity, duration, and timing right. For instance, a tempo run is below race pace for a 10K runner but above race pace for a marathoner. In this article, you will learn how to use 4 variations of the tempo run specific to your race goals, and when to schedule them. Tempo runs, often also called lactate threshold runs or LT runs, are executed at a ‘comfortably hard’ pace which you could hold for roughly 60min in a race situation. For elite athletes LT corresponds with half marathon pace but for mere mortals it’s more likely to be 15K pace. Add 15 – 20 seconds per mile to your 10K pace mile splits and you’re not far off your lactate threshold intensity. The length of tempo runs is usually anywhere from 20 – 40 minutes, depending on your current training level. Although tempos offer a wide range of physiological benefits, it comes at the cost of a significant amount of recovery time. In fact, the tempo run is an important but often overused workout, especially for runners who compete in shorter distances such as the 5K and 10K. Another factor to consider is your genetic runner type. For a ‘speedster’, tempo runs are tougher to absorb than for a so-called ‘endurance monster’. That’s because the latter is endowed with more slow-twitch (endurance) muscle fibers. 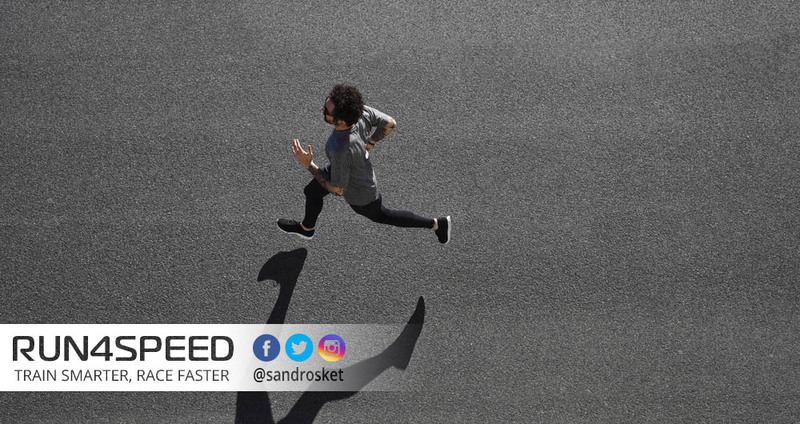 A speedster will be better off running tempos at 10 seconds/mile slower – or split tempo runs in half doing cruise intervals, allowing for a 2-minute recovery in between. Tempo runs don’t have to be strictly half-marathon pace. They can be put into 3 broad categories: Slow Tempo, Tempo, Fast Tempo and Add-ons to progression or long runs. Slow Tempos are half-marathon to marathon paced efforts of around 40min, and Fast Tempos are 10 – 15K paced efforts for no more than 20min. You can alternate these 2 variations alongside your usual tempo runs. 5K races are run way above lactate threshold. Therefore tempo runs serve primarily as a complementary tool to your usual easy and high-intensity efforts early in your training cycle. As soon as you get into the final 4 – 6 weeks of race preparation, your weekly tempo run will have to make way for more 5K race-specific paces, such as bi-weekly 10K, 5K and 3K VO2max intervals. 10K races are also run above lactate threshold intensity. Yet the 10K also requires significant endurance. Hence, tempo runs are an important step to develop the ‘staying power’ in order to deliver on extended intervals at target race pace. Start with slow tempos of longer durations and progress to fast tempos of shorter durations until you can comfortably manage several 15K paced cruise intervals. Half marathon races equal tempo pace (or slightly below for most runners). Thus, tempo runs are vitally important for successful half marathon racing. Standalone tempo runs should approach 1/3 of the race distance (4 – 5miles). Also, as soon as you can comfortably complete your weekend long runs it is wise to add tempo paced efforts of 2 – 4miles at the end to train fatigue resistance at race pace. Marathon races are run below lactate threshold pace. In that regard, marathon training is an anomaly compared to shorter race distances. As a consequence, fast tempos precede the more marathon race-specific slow tempos of longer duration. Similarly to the half-marathon, significant portions should be added so some of your weekend long runs to closely mimic the conditions on race day. The key takeaway from this article: Don’t do tempo runs just because they ‘feel right’ in terms of perceived physical exertion. Know their place and purpose in your training program and use the intensities most supportive to your race distance. Doing too many tempo runs can undermine recovery at the expense of the other key sessions of your training week.